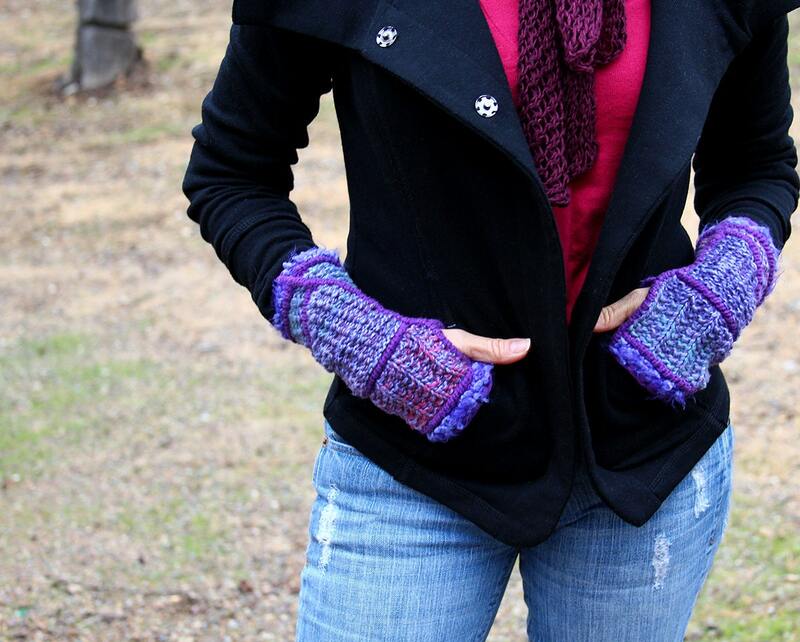 A very simple knit with so much “bang for your buck”! Multiple techniques build on each other to make a piece so much easier (and fun!) than it looks, your friends will be amazed. YOU can do it! 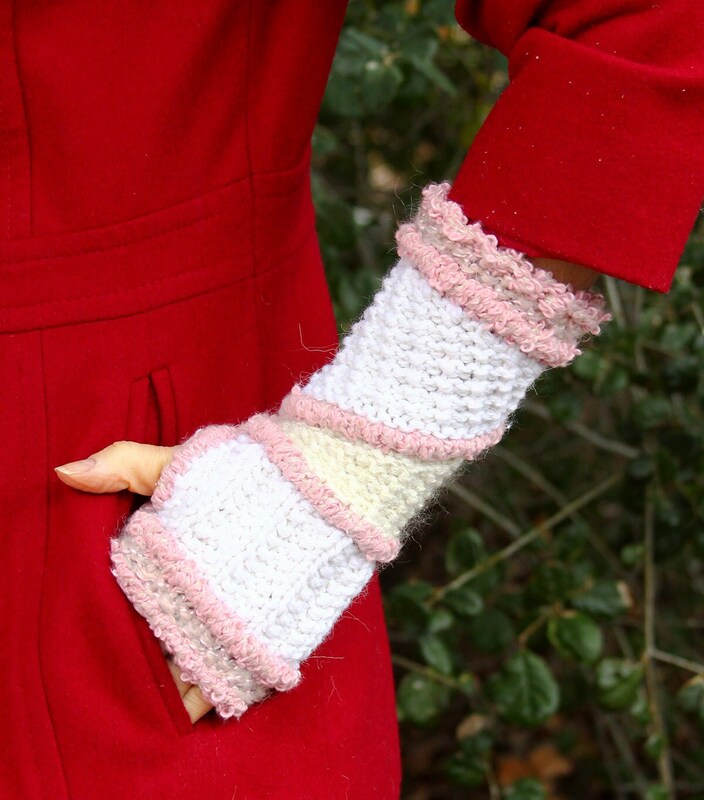 These gauntlets have so much style going on! 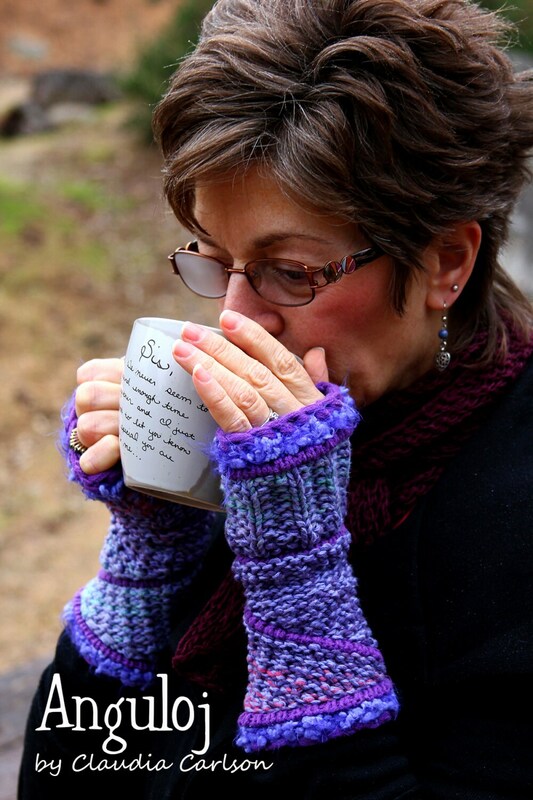 A “fuzzy” fleece type yarn for the top and bottom edges; a ribbon yarn shows itself beautifully with the exaggerated cast on and bind off effect; ruching to accentuate the angles; and lots of textured stitches to hold in pockets of warm air. So chic! 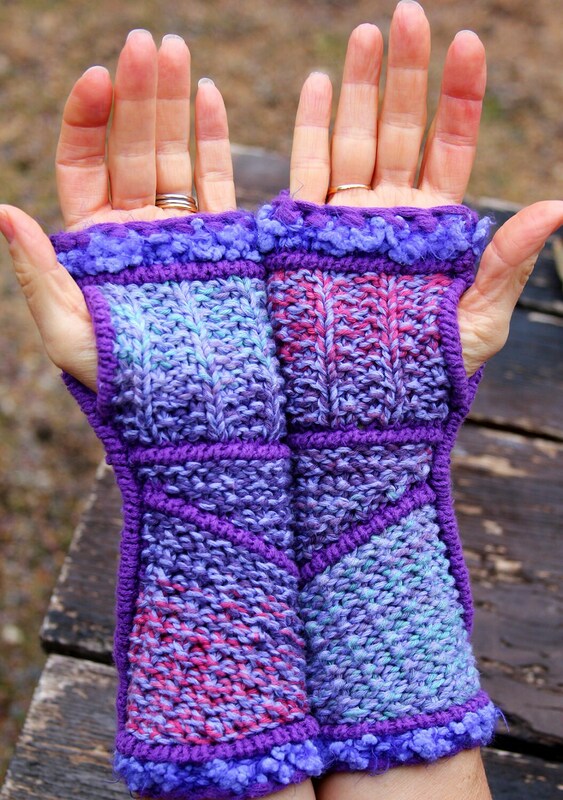 Besides being totally adorable, these gauntlets are a wonderful way of using up some of your scrap/stash yarns! You can see in the photos how they can be so versatile and unique at the same time. I take pride in being very concise and precise in my pattern writing so nothing is left for you to ponder over. These gauntlets are mirror images of each other, but I do NOT just instruct you to ”make the second reversing all shaping and patterning”. I don’t feel that’s fair to you, as there is much more to it than that; you get full, step-by-step instructions for both gauntlets so you don’t have to wrack you brain trying to figure it out…that’s what you’re paying me to do! Approximately 9” tall from cast on to bind off; 7 1/2” in diameter at the cast on; and 6 1/2” in diameter at wrist, unstretched, measured as inside diameter. 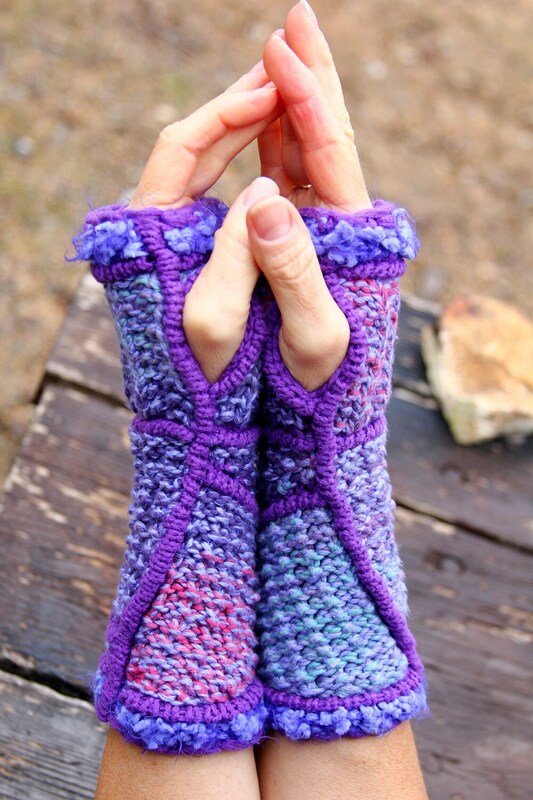 180 yards any worsted weight yarn (MC) - purple gauntlets used 2 strands Knit One, Crochet Two’s Ty-Dy 100% cotton.